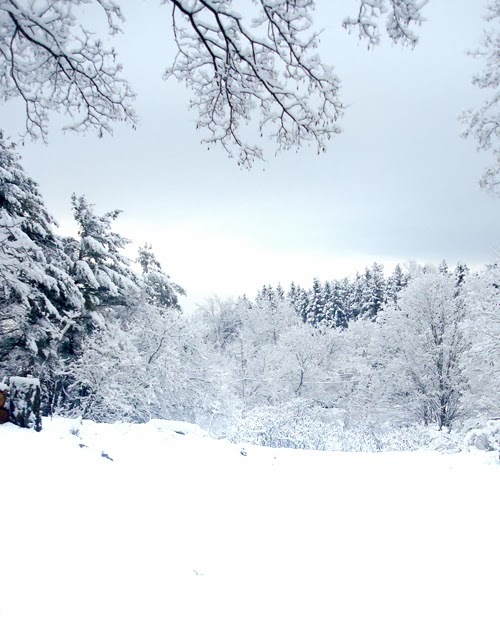 Pixie Hill: Good Morning: Winter wonderland! There are definitely two types of people in this world. 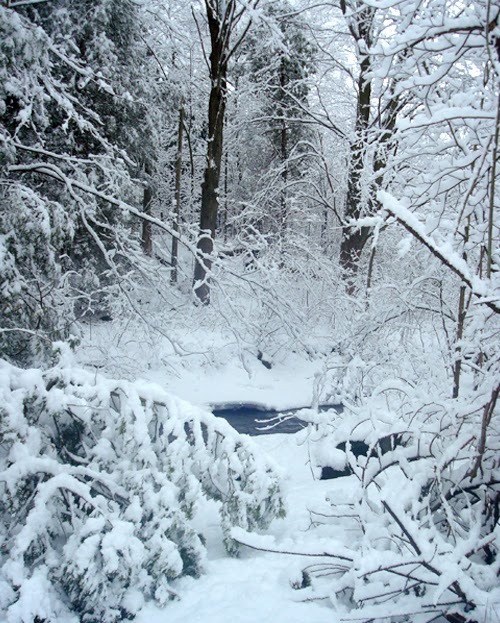 Those who wake up to a fresh blanket of snow and groan and those who see a wonderland. I am the latter of the two. 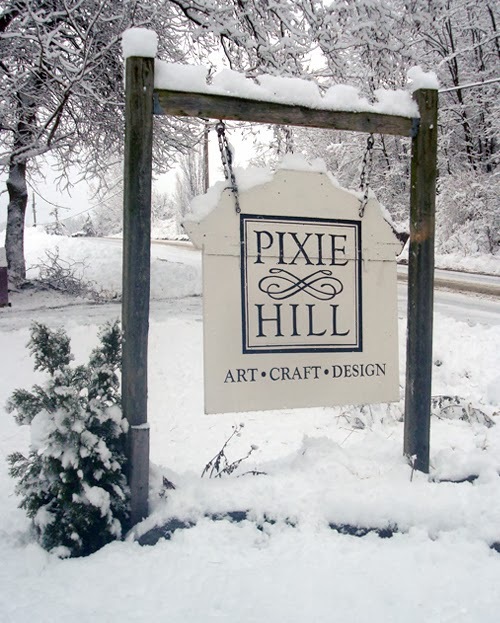 Winter seems to have arrived in one fell swoop at Pixie Hill. It's absolutely beautiful. 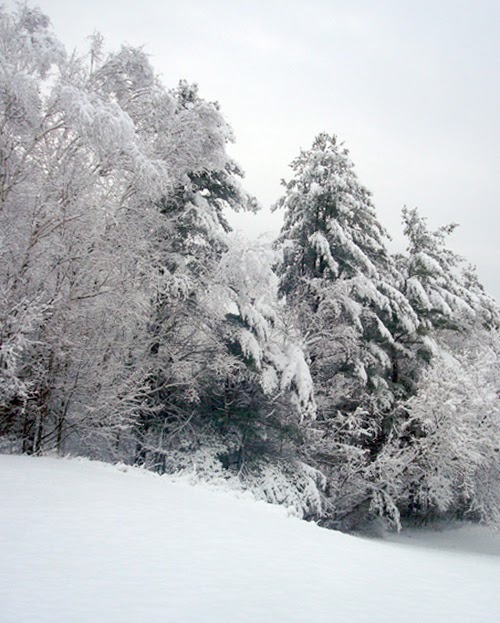 Snow is precariously perched on every single branch. 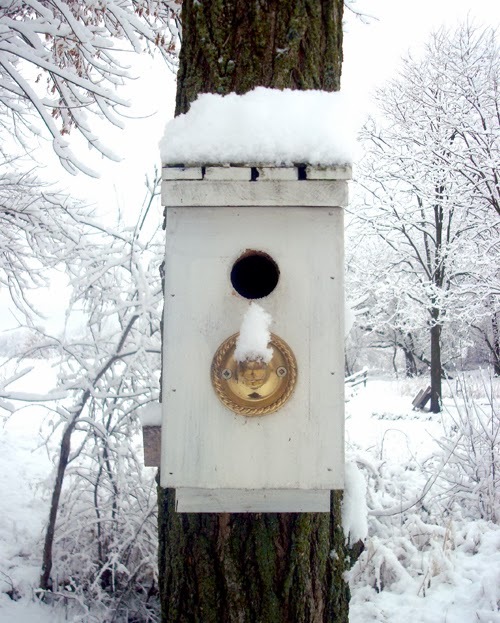 Even the birds have some shoveling to do. Late last night the dog wanted to go out so I did get a little preview of this magic. 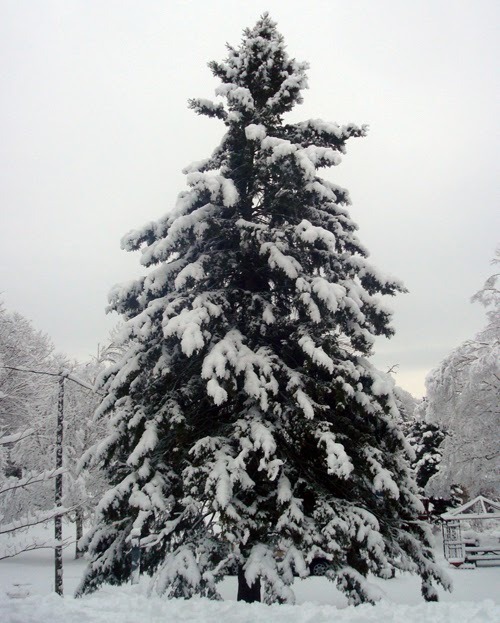 It struck me, standing there in the dark, being snowed upon while the dog did his business, just how quiet the world was. Perhaps that's one of the reasons I love it snow too. Not only is it bright and beautiful, but it quiets the world. Lovely. Yes it is beautiful but OMGoodness it is sooo cold. I got to watch it snow in TX yesterday and thought how beautiful but so glad I don't live up north. Lovely pictures!! Absolutely magical and beautiful! (It has only flurried here so far.) 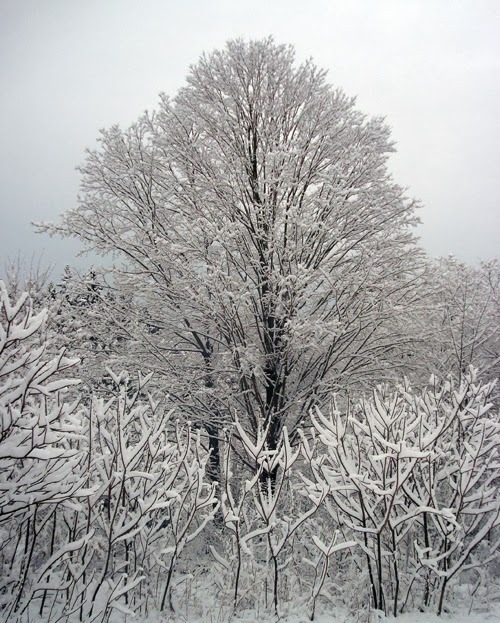 There is nothing like that first pristine and quiet snowfall...and the beauty of it!